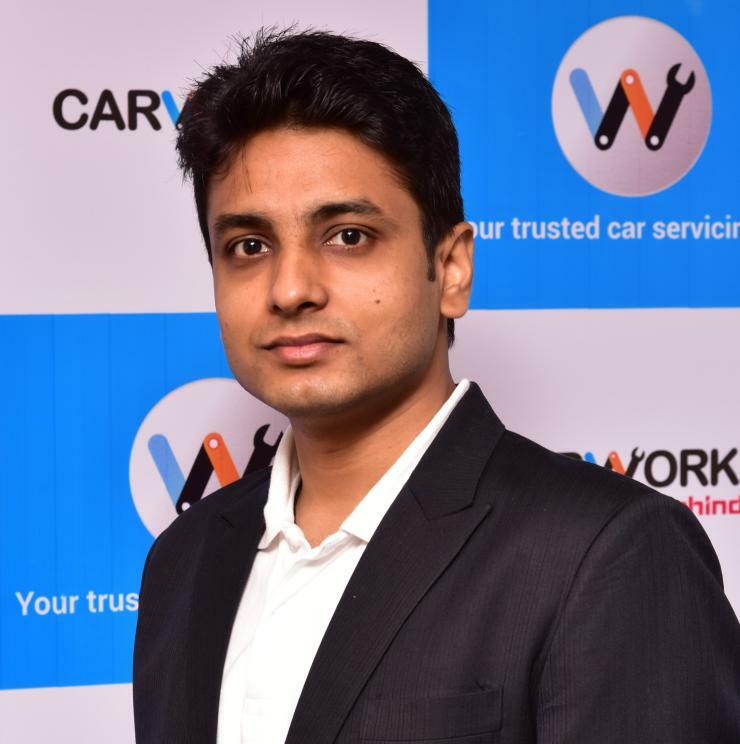 Multi-brand car service aggregation platform CARWORKZ, funded by the US $ 17.8 billion Mahindra group, aims at driving convenience and higher transparency in the largely unorganized Indian car servicing market. CarToq spoke to Tarun Gupta, CarWorkz’s Founder and CEO to understand more about the concept. What makes Carworkz different from the many other such similar websites/apps? While there are other start-ups in the space, Carworkz addresses the challenges faced by today’s well informed, cost-conscious car owners, and fills the void created by the lack of transparency regarding service needs of a car, the servicing options available and pricing. This platform will allow car owners of all brands, to not only find their nearest workshop but also compare services offered by a workshop and the charges for those all at the convenience of a few clicks on their smartphone. Customers can also benefit from the ratings and reviews by fellow car owners, to make well-informed car servicing decisions. Will the customer get any discounts (apart from calculating service costs) by going through Carworkz? Yes, car owners can avail various kind of discounts and offers given by workshops through Carworkz platform. Does Carworkz protects the customer from unscrupulous service centres? The workshops that feature on the platform are listed after a profiling exercise to authenticate their services and existence. In addition to this, the Ratings and Reviews feature provides users the benefit of learning from the experiences of other car owners like themselves. We are also working towards a unique Carworkz Assurance program to ensure quality standards for services booked through the platform. Does Carworkz have a plan to go offline (get into car servicing)? We are focussed on our business model of creating a robust multi-brand car service aggregation platform that will empower car owners with the right information to choose the right servicing option for their car at the best price. We do not have any plans of entering into offline car servicing model. However, we will work closely with the workshops and support them to upgrade their operations and enhance their customer experience. How many customers use Carworkz daily? We are currently operational in Mumbai and Navi Mumbai only. We have over 1000 unique users coming to site daily and over 9800 registered users. How many app downloads so far? We have over 20,000 app downloads for Carworkz till date and is growing at healthy numbers. Does Carworkz also aggregate authorized service centers? Yes, it does. At Carworkz, we are brand agnostic. We aggregate information on all kinds of workshops, from Authorized Service Centres (ASC), Multi-Brand Chains (MBC) and Independent Garages (IG). How does the business model operate? Our business model is a two sided network. It revolves around empowering customers and enabling workshops wherein we will attract the car owners by creating Trust and Convenience and provide different services to the workshop to run their back-end better. Will workshop owners need to pay Carworkz to get listed? As of now, there is no joining fee to get listed. As I mentioned earlier, we have profiled all kinds of workshops and gathered details on their infrastructure and technical capabilities. Our workshop search algorithm intelligently uses this information along with user ratings to serve the most relevant results to a user for his search query. Once listed, we charge fixed fee from workshops on appointments they get from the platform. Finally, please tell us about yourself, and your journey so far. My brush with start-ups dates back to 2007, when I was part of the core team that founded Kuliza Technologies. As an innovation expert, I led the Kuliza Innovation Labs and Knowledge Management vertical, providing technology solutions to new businesses and evolving strategies for start-ups. Before Co-Founding Carworkz, I was National Manager, Franchisee Business at Mahindra First Choice Services Ltd. I have been associated with the Mahindra Group since 2012.